Stay up-to-date with the latest Dubroom releases, reviews, research material or even feedback by subscribing to one (or more) of our mailing lists. 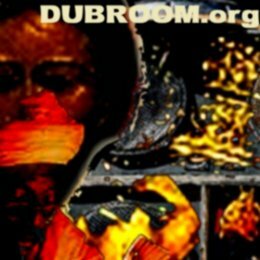 Send your feedback directly to the Dubroom is also possible from here. 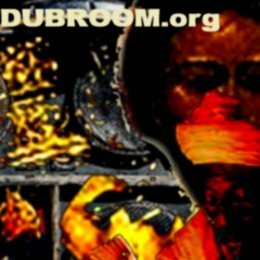 The Dubroom has several e-mail lists, varying from the latest musical reviews to more personal updates from the webmaster to research material and more. You can easily (un) subscribe yourself from one or more of these mailing lists so that you will never miss out on anything that might have your interest. Click on "go" for a short description of all lists and/or to (un)subscribe yourself. Feedback, broken links or other mistakes on the website, proposals or something else you wish to share with the Dubroom? You can send us an e-mail straight from this website. Just type in your name, subject and message and it will get to us. Before you do, though, please note the follwing: we are unable to answer every e-mail personally and/or directly and we're not in the possibility to answer questions already adressed in the Dubroom's Frequently Asked Questions pages. Do you know or have this website that should absolutely be reviewed by the Dubroom? Use the secure form below to submit the site and the Dubroom will take it from there. You need to provide both the URL and a short description, name and email address and your relation to the site. Your personal data will only be used in case correspondence is needed. The site can be about one or more topics covered by the Dubroom and obviously doesn't necessarily need to support the Dubroom. Please consider that submitting a site is not a guarantee that there will actually be a review and a link. Each One Teach One inna Babylon, and so you are heartically invited to participate. You can do so publicly in the Forum or on the Blog but you can also mail the Babylon Observer with your tips. When you think the Babylon Observer should post about a certain thing, please use the form and submit the material. Please note that the Babylon Observer does preserve the right to not (re)publish material.